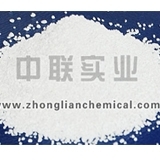 SDIC 2893-78-9, China SDIC 2893-78-9 Manufacturers, China SDIC 2893-78-9 Suppliers - Zhonglian Ind. As a kind of disinfectant,it can sterilize drinking water, swimming pool,tableware and air, fight against infectious diseases as routine disinfection,preventive disinfection and environ-mental sterilization in different places, act as disinfectant in raising silkworm, livestock, poultry and fish, and also can be used to prevent wool from shrinkage, bleach the textile and clean the industrial circulating water.The product has efficiency and constant performance performance and has no harm to human beings. It enjoys good reputation both at home and abroad. Products stored in dry ventilation,moisture-proof,waterproof,anti-rain,fire,transportation common means of transport.